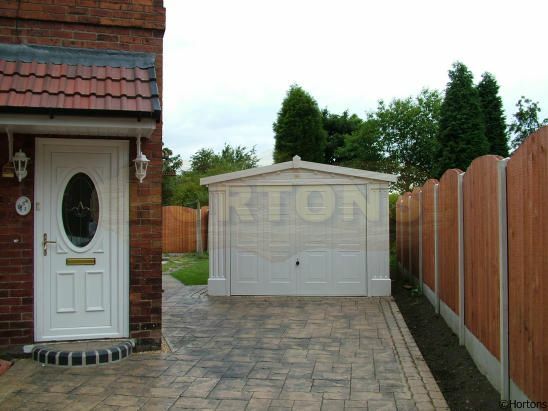 Add elegance to your property with our distinctive and popular Georgian garage. Refined in looks with its white finish, the front pillars are constructed from fluted designed concrete. Both the woodwork and pillars come primed with an acrylic base coat ready for that elegant finishing touch. The Hörmann Georgian door is a standard feature. Both the Pent and Apex ranges are roofed with Eternit fibre cement asbestos free (non combustible) sheets.